Sri Lankan Cricket Board has not included Sanath Jayasuriya in Central Contract for 2010 while Spinner Muttiah Muralidaran has retained the Central Contract of Sri Lankan Cricket. Sri Lankan Board issued names of 20 players that are included in Contact List this Wednesday. 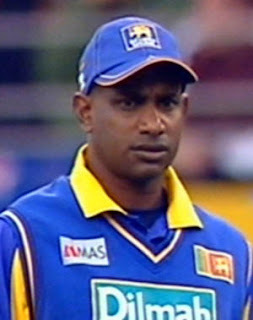 Sanath Jayasuriya that has played 444 ODI and 110 Test Matches for Sri Lanka and remained a permanent part of Sri Lankan team has seen slump in his performance in last few months due to which he has not been given contract list. Jayasuriya was able to make just 31 runs in his last 6 ODI matches. Sanath Jayasuriya is 41 years old and he wishes to take part in next year World cup.Muttiah Muralidaran who is soon going to retire from Test Cricket is included in Central Contact and will be taking part in upcoming series with India.